Home / Uncategorized / Getting ready for open studios! 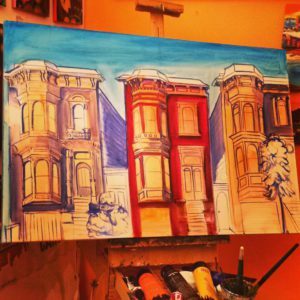 My Open Studios will be November 11th and 12th from 11 to 6 in the Mission! 2940 16th st, second floor, in the MOJO Theater! Here is the latest painting i’m working on! I’m hoping to get it done by open studios!